Tags: charity, Daniel Negreanu, Zachary Butler. A non-profit organization has made a terminally ill man's dream come true. 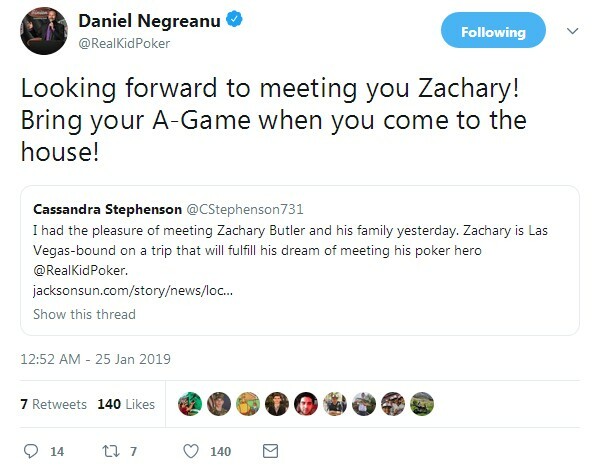 Zachary Butler, age 33 and lives in the town of Trezevant in Carroll County, Tennessee, is getting a super special meet-and-greet schedule with his favorite poker player of all time, Daniel Negreanu. 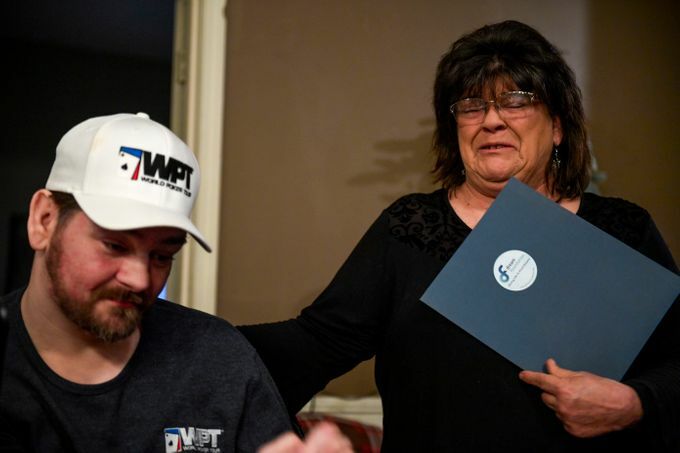 The Dream Foundation, a non-profit organization that grants wishes of those with terminal illnesses, is sending not only him, but his entire family to Las Vegas. They were scheduled to visit Las Vegas on (January 28) Monday and come back home on Thursday. 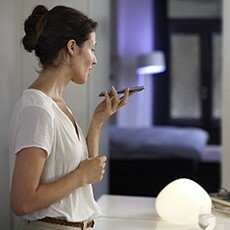 Butler said in response to his wish finally getting answered, "I can't really explain it, it was great. We would have never had the money to go (otherwise). They granted the wish and it's great." Butler's mom Cynthia Mayberry said about his poker play behavior, "He'll put me off a table in a heartbeat. He does not care. When he's on that table, he doesn't see me for mom, he sees me as another poker player." For any poker player, being able to visit and play in Las Vegas is absolutely a must to fulfill in their bucket list. Butler is extremely happy to have his final wish fulfilled amidst battling a rare disease since age 12 called Friedrich's Ataxia, which rendered him totally disabled from then on. It is a rare inherited disease that causes progressive damage to the nervous system, which made Butler suffer from walking difficulties, impaired speech, and a loss of sensation in the extremities (arms and legs). According to Wikipedia, only 1 in 50,000 people suffer from this. The estimated lifespan for individuals with this condition is about 40 to 50 years. To keep himself happy and busy, Butler plays card games online, mainly poker. On January 25, KidPoker wrote on Twitter, saying that he's looking forward to meeting Butler. While in Las Vegas, Zachary's mom also said that aside from getting KidPoker's autograph, Zachary is aiming to make the most out of their stay in Sin City, by getting some other famous pro pokers' autographs as well. 3 comments for "Poker Fan with Terminal Illness Gets Dream Wish - Meet and Play Poker with Daniel Negreanu"